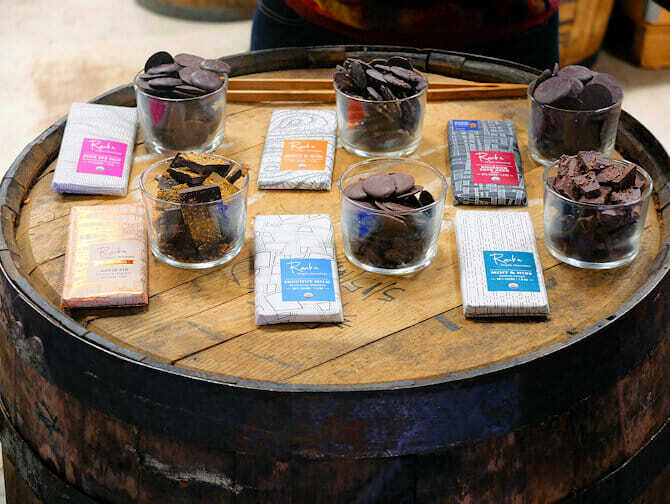 The Brooklyn Chocolate Tour is for true chocoholics. You’ll see different parts of Brooklyn such as Valentino Pier, Cobble Hill, Red Hook, Carroll Gardens and Gowanus. And the best part? The chocolate tasting of course! You’ll visit chocolatiers that have featured on TV channels such as the Food Network, the Cooking Channel and the Travel Channel. You’ll even stop for a slice of pizza along the way to cleanse your palate. You’ll leave Manhattan behind and head to Brooklyn to start exploring the finest chocolate hotspots. 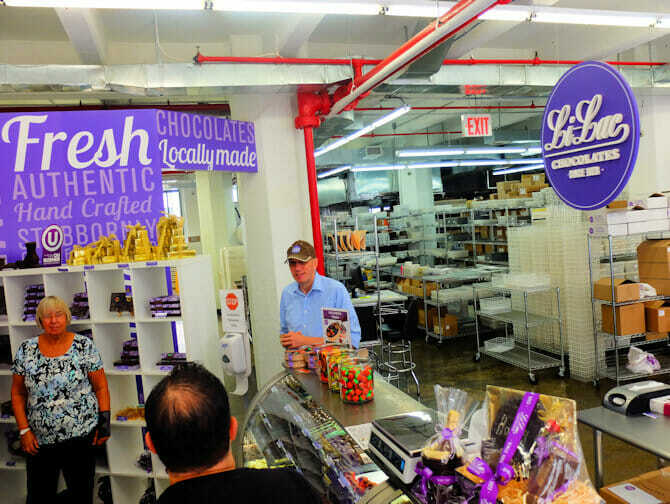 The first stop on the tour is in DUMBO, where you’ll visit one of the best artisan chocolatiers in the U.S. Here you’ll be able to taste treats such as chocolate macadamias, chocolate blueberries and Chocolate Cheerios. Once you’ve enjoyed your first tasting, you’ll head over to The Chocolate Room where you can continue to indulge the chocolate-monster. Their three-layer chocolate cake was named one of ‘Oprah’s Favourite Things’. You’ll try this delicious cake in cupcake form, accompanied by a mug of hot chocolate. Before heading off to the other chocolatiers, you’ll be able to walk across Valentino Pier, a hidden Brooklyn gem. Then off to the next chocolate stop: Raaka Chocolate! This company prides itself on making organic ‘virgin chocolate’. 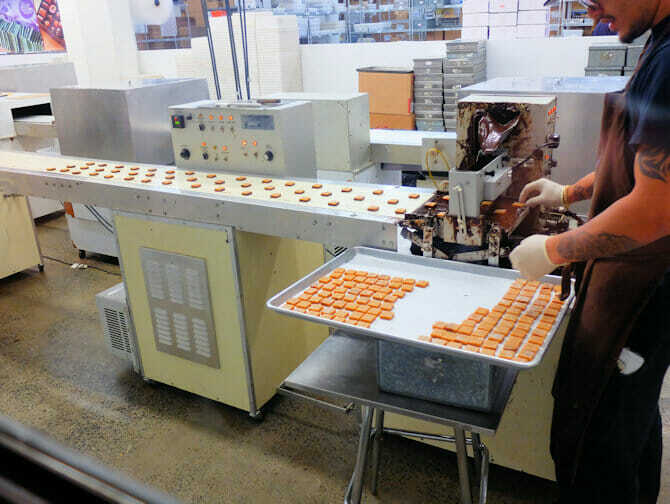 Not only do you get to taste some of their delicious creations, but as you are at their factory, you get the chance to see how chocolate is produced, packaged and shipped. 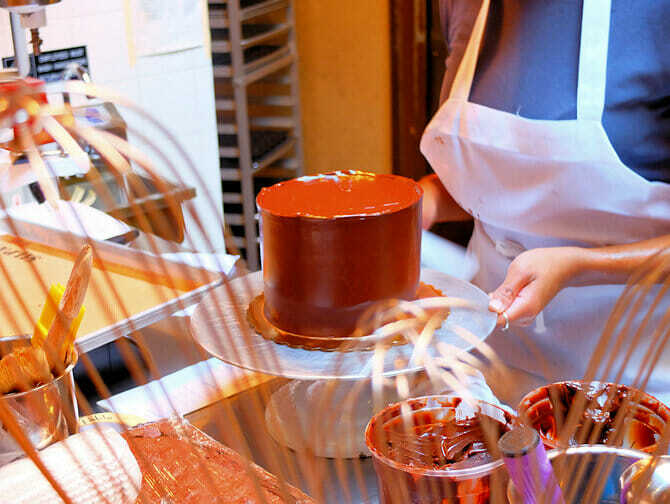 Your last stop is Li-Lac Chocolates, one of the oldest chocolatiers in New York. Li-Lac Chocolates are real artisan chocolatiers, known for their incredible chocolate speciality moulds. 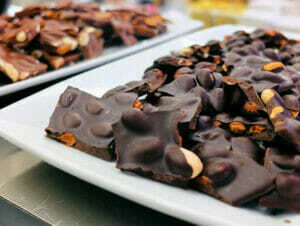 You’ll be able to sample some of their best-selling items such as hazelnut truffle squares and almond bark. You’ll also get a chance to peek into their factory and see how they make the chocolate by hand. Eric’s Tip: I am a pizza lover, but couldn’t turn down trying a chocolate tour for this site. And I was pleasantly surprised! Not only did I like tasting all the different types of chocolate, I also liked learning about and seeing chocolate being made. You’ll have plenty of time in each store to enjoy the tastings as well as to stock up on your favourite items. As a bonus you’ll get to see parts of Brooklyn you wouldn’t normally venture to, and you can even enjoy a slice of pizza. After purchasing, you will receive a voucher that you can print out and use as your ticket for the tour or show on your phone as a mobile ticket.